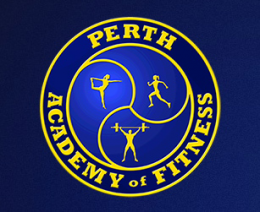 Cost, convenience and just having you feel comfortable are all factors that make the Perth Academy of Fitness the ideal alternative the any of the mega-gym chains, you know the ones with all the mirrors, loud music and wannabe muscle men! We actually take the time to establish your fitness or weight loss goals and then work with you to teach you how to stay fit and trim for life. From over 19 years experience, we've developed what we call "Organic Fitness Training", which are individual personal training programs that can be completed without the need for expensive gym equipment and a lot of space. Ideal for exercising at home, on site, or even on an oil rig - practically anywhere. Our boot camps are the ideal way to get started on your fitness campaign - and we guarantee you'll achieve the results you're looking for or your money back. Our Private Fitness Studio is just ten minutes north of Perth CBD. Sessions with Personal Trainers are by appointment, or visit us online and book a Boot Camp Session to get started with your personalised fitness or weight loss program today. More Gyms & Health Clubs in the Northern Suburbs Area, Personal Trainers in the Northern Suburbs Area, Weight Reduction in the Northern Suburbs Area.